Backed by the team of skilled highly experts, we are offering a wide range of Nickel Scrap. Furthermore, these scraps are offered with us in numerous sizes and finishes at competitive price. We can offer industrial Nickel containing material in many forms like Oxide, Hydroxide, Carbonate, Sulphate, Ash, Sludge, Residue, Grinding Dust, Alloy Scrap, Plating Sludge, Spent Catalyst etc. We have carved a unique niche in the industry by offering Cupro Nickel Scrap. Our offered scrap is sourced from acclaimed vendors of the market by our knowledgeable professionals, after ensuring that these contain no impurities. Further, we offer these scraps in multiple grades and types therefore suiting the diverse requirements of the clients. NIckel Alloy Scrap are having higher percentage of nickel alloys into it. There are several metals or registered trade names with high nickels. We hold expertise in offering a wide range of Molybdenum Scraps that are high temperature scrap metals with melting point of 4, 730 F. Moreover, when the melting point reaches at 2, 000 F, it is higher than any other scrap metal like steel. Molybdenum Scraps are stored at our warehousing unit and supplied at client's doorsteps within the limited time frame. We trade in various kinds of nickel based scraps starting from 0.5% to any percentage with different combinations of alloying elements with it. The alloying elements can be moly, chrome, copper, titanium, etc. These are available in various form like turnings, solids, powders or as component of any machinery. We trade in all such variety of scraps. J. V. Seamless India Pvt. Ltd. Backed by skilled expertise, we are engaged in offering a wide collection of Nickel Scrap to our valued clients. Provided products are designed with following industry defined norms. 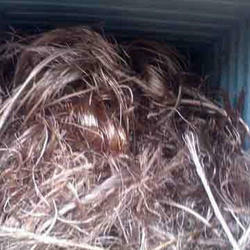 We take pleasure in introducing ourselves as leading firm by offering Nickel Scrap. We hold specialization in offering a wide array of Cupro Nickel Scrap (70 - 30) This range finds its varied applications in various industries because of its premium quality and reliability. This is the better option for remould to form a new device or equipment of cupro nickel. 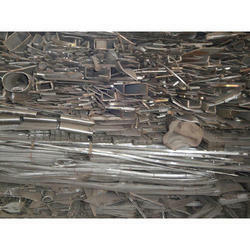 We process all the scrap with care so that it should not contain any impurity. We are a renowned organization, which is engaged in offering Nickel Scrap to our clients. The offered range of seamless pipes is available in customized designs, shapes and sizes to append and respond to the diverse demands of respectable clients. We offer Nickel Scrap of purity 80% min in form screening mesh, plate scrap and shot etc.